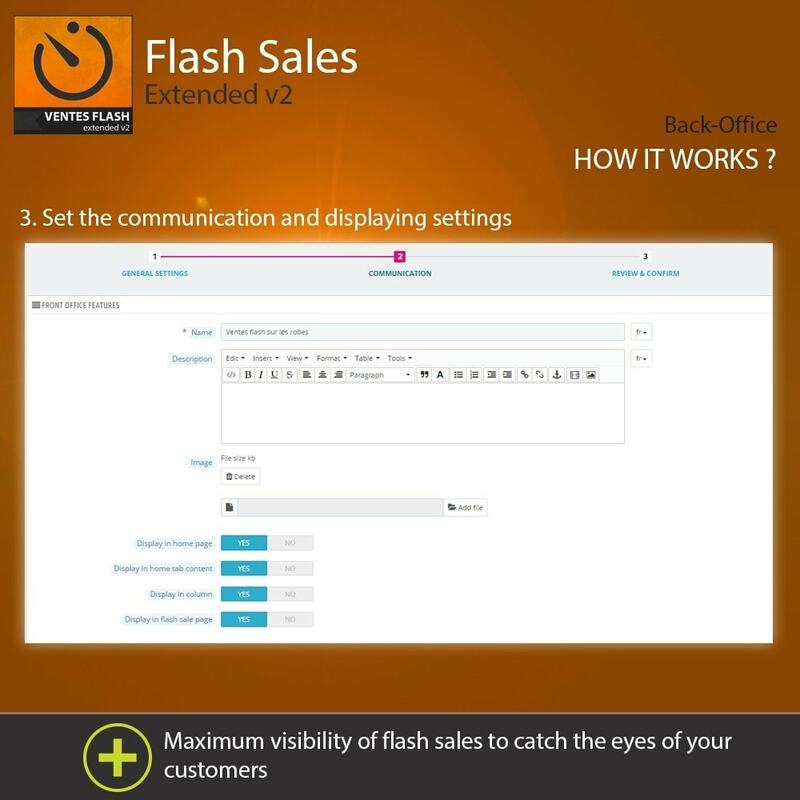 Attract new customers and boost your sales by suggesting flash sale campaigns, materialized by a time-limited discount ! 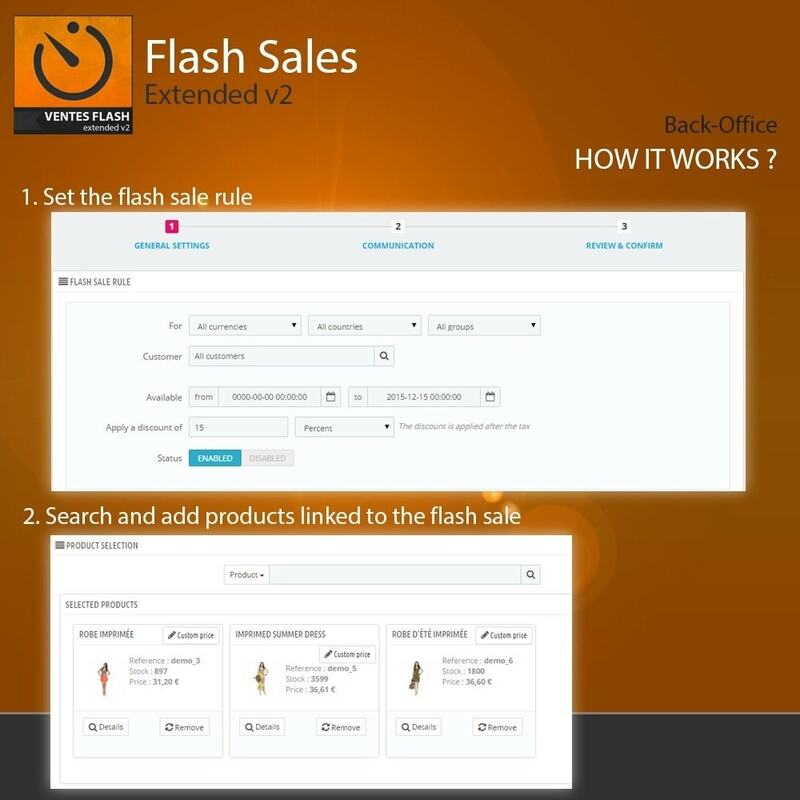 The module 'Flash Sales' offers the possibility to create personalized promotion campaigns limited in time. 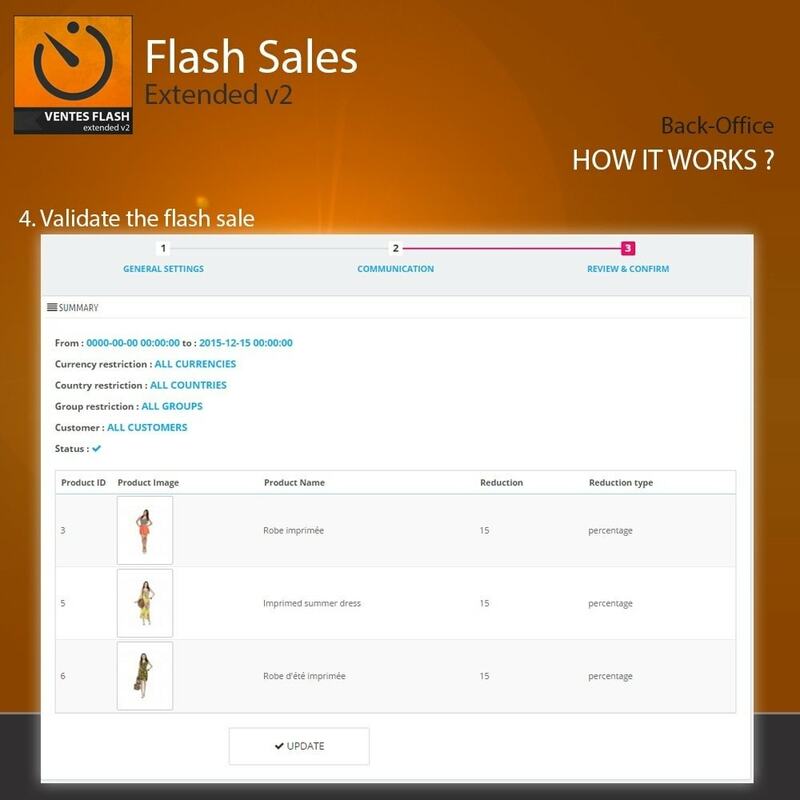 Set the period of your campaign, select the products, customize the discount and the system will automatically highlight your flash sale to promote impulse buying. 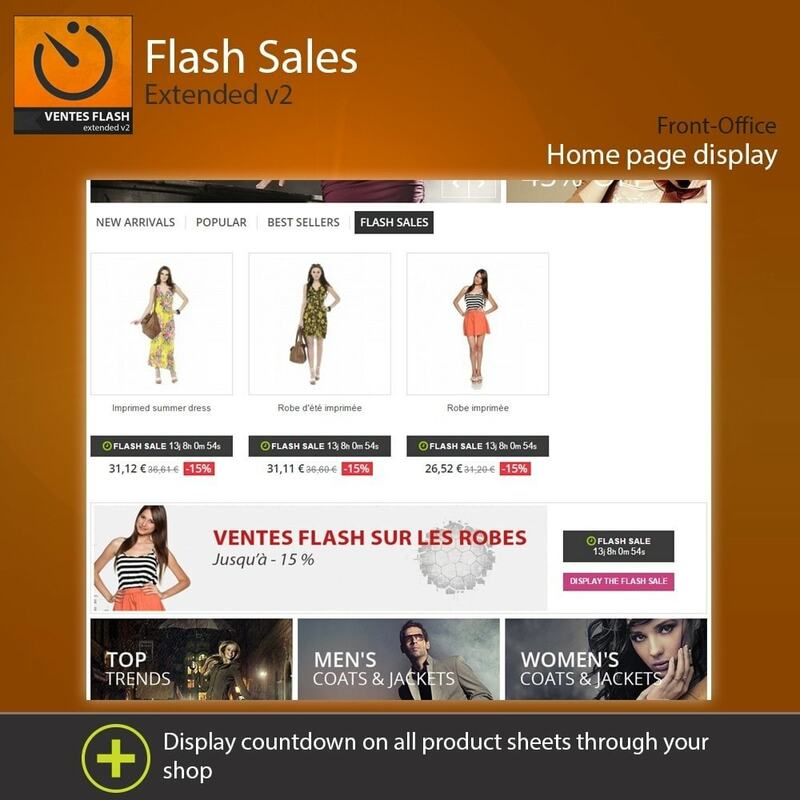 Display a countdown on all product sheets and product pages. 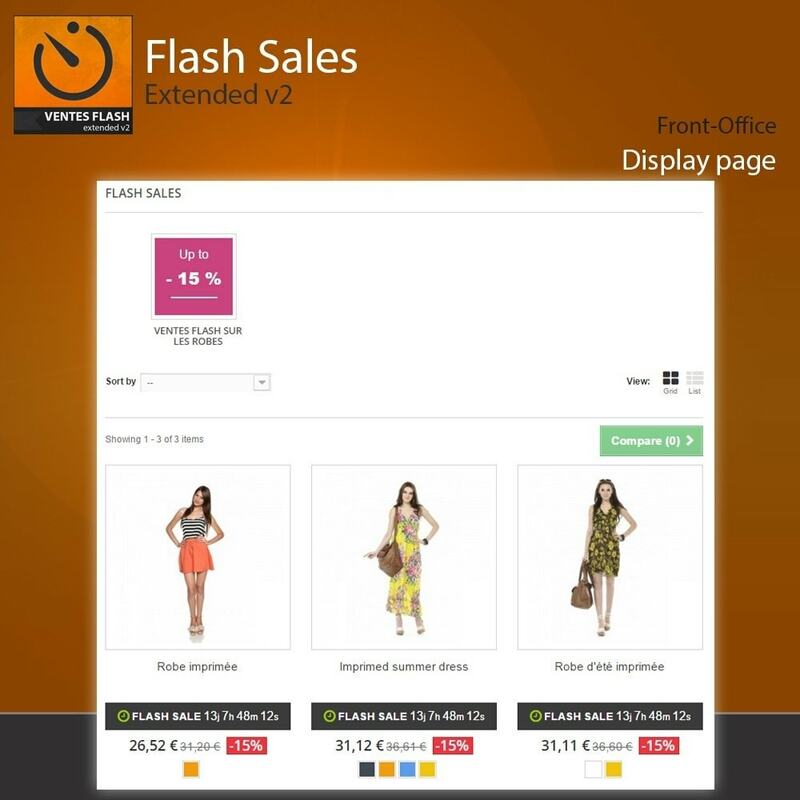 Manage flash sales through the menu 'Promotions'. 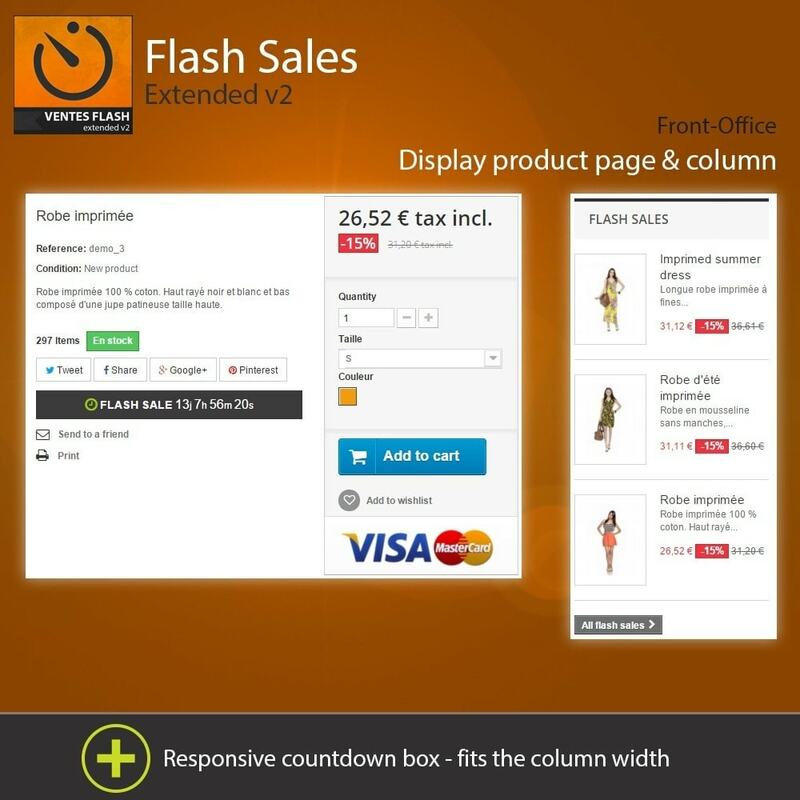 Fully customizable countdown directly from the back office. 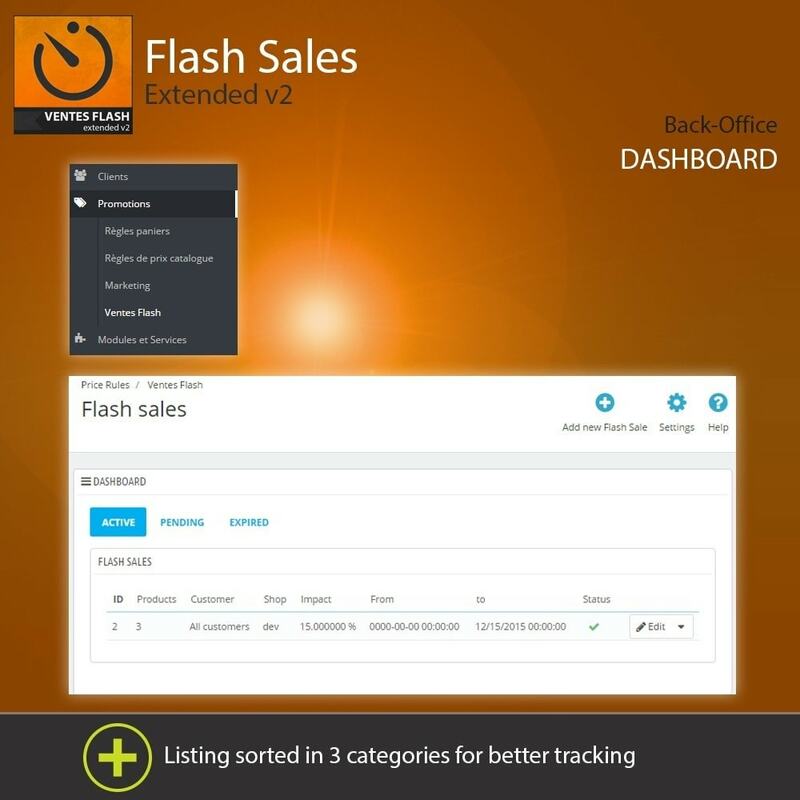 Your customers will have à certain interest to regularly come to your shop to discover new available promotions. 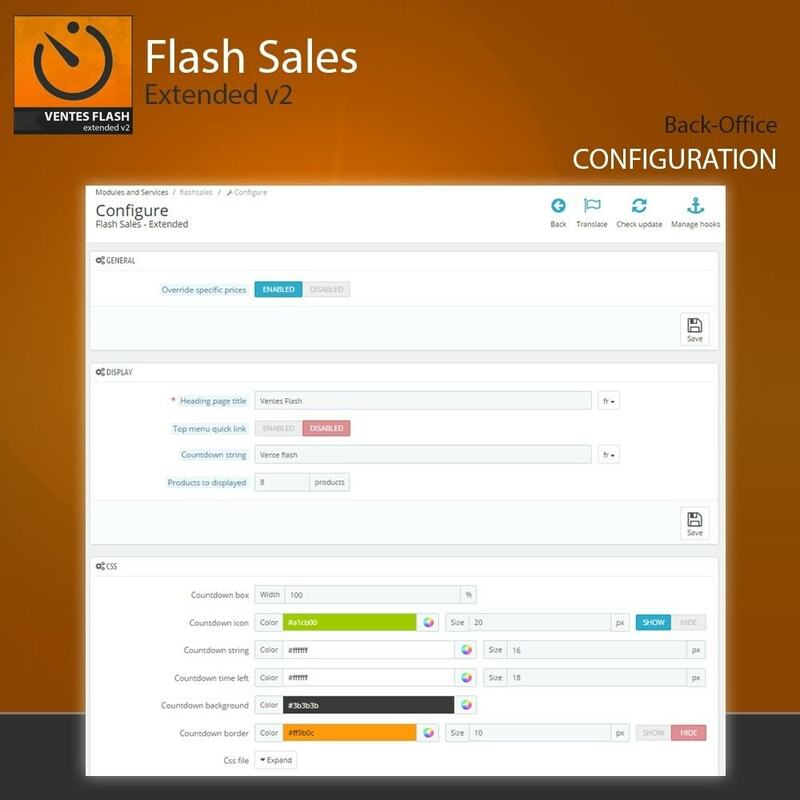 Explanations about the installation and operation are provided in the documentation.